At its regularly scheduled meeting Tuesday, the Undergraduate Student Government passed a bill impeaching president Joshua Bowens and a majority vote of no confidence in Chancellor Carlo Montemagno. The final count was 14-4 in favor of Bowen’s impeachment and 11-1 with six abstentions, for the vote of no confidence in the chancellor. Bowens was elected USG president in 2017 and said his time has been amazing, and also served as an important lesson for him. According to the bill of impeachment, Bowens sent the CEO of his company ‘One Race’ as a representative to an Alumni Association or SIU Foundation meeting. The CEO was reportedly handing out fliers for the company during this meeting. The bill also said there were reports of Bowens handing out fliers for his company ‘One Race’ at a meeting of the Alumni Association or SIU Foundation. This is a violation of using an official position for the sake of personal gain or advancement, or for any matter in which they may have material or personal interests, according to the bill. The bill was created after USG’s Internal Affairs Committee launched an investigation into Bowens conduct after allegations were brought forward stating Bowens had violated USG’s constitution multiple times, according to Chairman for the Internal Affairs Committee Toussaint Mitchell. 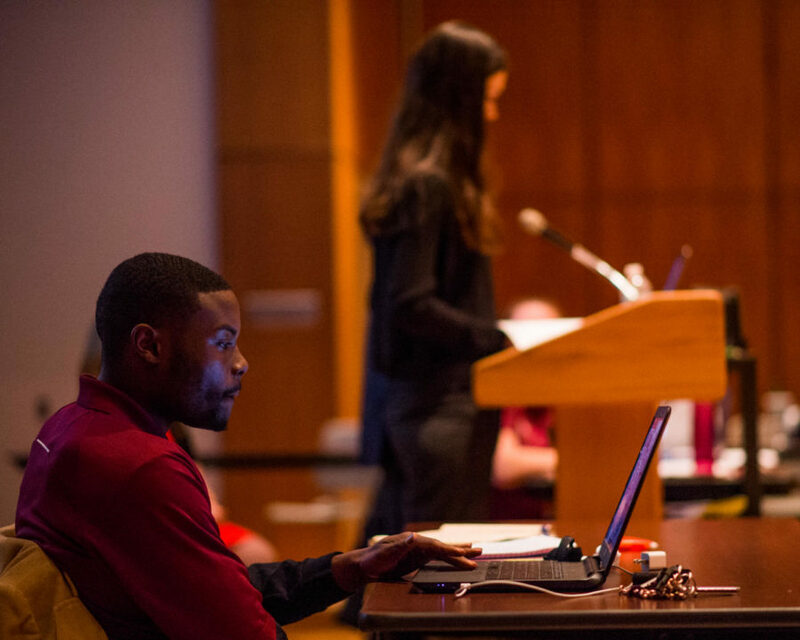 USG Chief Justice Sarah Stipp handled proceedings for the bill of impeachment and allowed the Senate to open for discussion of the bill before the vote. Bowens started the discussion with his statements regarding the allegations of the bill. 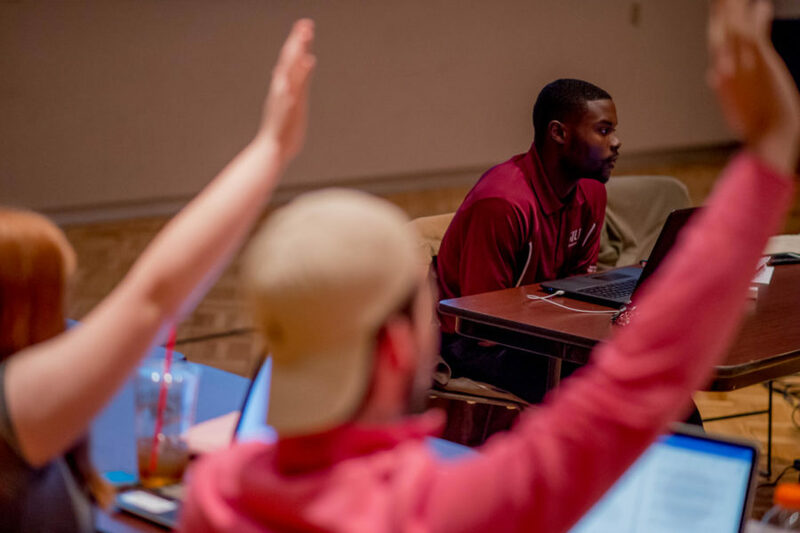 Bowens responded to the allegation that the CEO of Bowen’s company, “One Race,” handed out fliers for the company during an Alumni Association or SIU Foundation meeting. Bowens said the fliers that were passed around at the meeting were handed out by Mr. Brown, a member of the Alumni Association who he had just met that day and did not ask if Bowens would like the fliers passed around. USG Senator Kiera Yard said the allegations presented in the bill were violating constitutional law by Bowens not fulfilling his duties as USG president. Bowens said that many people including USG Press Secretary Isaiah Storey, could confirm that he is always in his office hours. In response to Yard’s statement, Bowens explained that half of the senate bills didn’t get sent to USG’s accountant, and that the situation wasn’t his fault. USG Senator Bethany Peppers said the big issue was accountability, and not about personal attacks towards Bowens. “Putting blame on others in your executive [board,] when we elected you president, as a student body, is unacceptable,” Peppers said. Peppers said because of Bowens’ lack of communication as a president, the senators do not know the budgets they have when RSOs come looking for funding. After the bill was passed USG Executive Vice President Emily Buice was sworn in as USG President by Stipp. Buice said that this administrative shift would not change anything about USG, and that the senate will work to make the university the best it can be. Staff writer Jeremy Brown can be reached at [email protected] or on Twitter @JeremyBrown_DE.